Purex detergent has been a staple in my house for over 10 years. I love that Purex is much cheaper than the leading name brand laundry detergents while keeping my clothes just as clean. 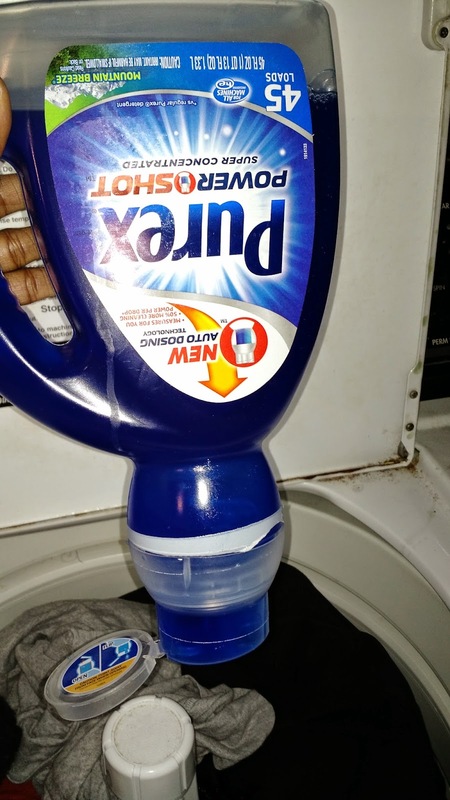 So when I received the opportunity to try a new Purex detergent that will be available in stores in February, I jumped at the chance to see how Purex has upped their game. The new Purex PowerShot is a super concentrated detergent that comes in a small 45 oz bottle that is good for 45 loads of laundry. Now I don't know about you, but I usually never get the recommended amount of loads from concentrated detergent because I tend to use too much. So I am glad that Purex has made it full proof to measure out the correct amount with Purex PowerShot by building auto-dosing technology into the bottle. Flip. Dose. Done! And now I am not wasting any detergent! Purex Powershot comes in the only bottle that automatically dispenses the correct amount of super concentrated formula so that there is no waste! Just open the cap, flip the bottle upside down and the bottle will measure out one super concentrated dose of Purex PowerShot detergent. Flip the bottle back upright again and you are done. The Powershot bottle automatically refills and is ready for the next dose. I love that Purex Powershot detergent does all the measuring for me. I use 1 flip for regular loads and 2 flips for very large or extra dirty loads. And Purex Porwershot will be available in two popular Purex fragrances - Mountain Breeze and Natural Elements in & Lilles. 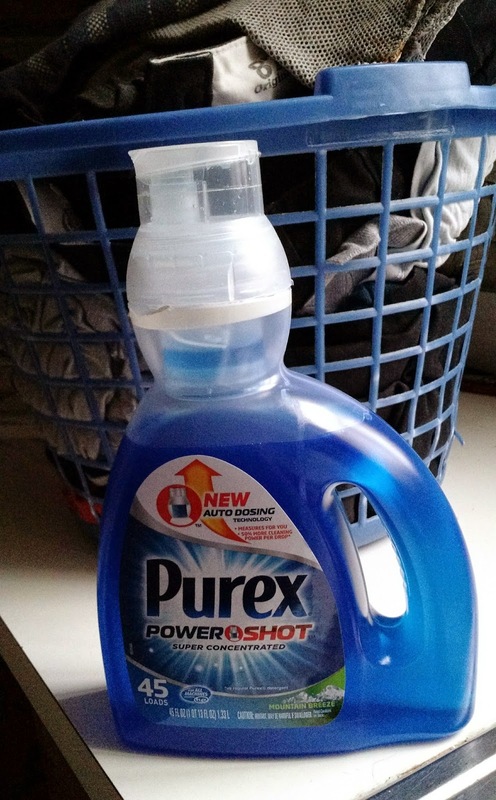 Check out Purex PowerShot Detergent when it becomes available in stores that sell Purex in February of 2015. 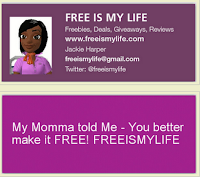 One (1) FREEISMYLIFE reader will WIN COUPONS good for 2 FREE Bottles of Purex PowerShot Detergent. 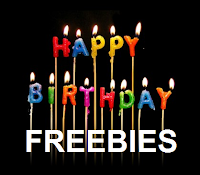 Each coupon has a max value of $6 for a total giveaway value of $12 - HOLLA TO THE FREE!!! 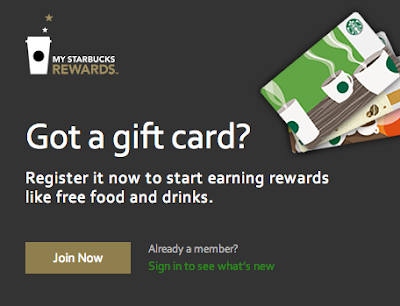 - The contest ends on Friday February 6, 2015 at 11:59am EST. - Prize fulfillment will be completed via USPS. 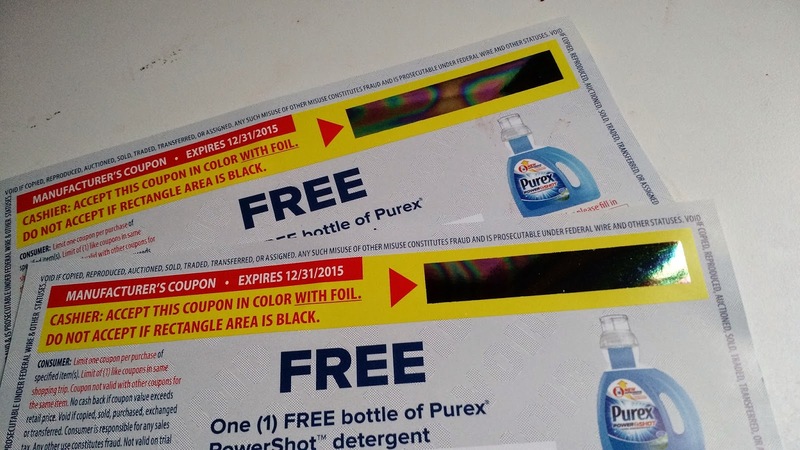 - You can get 1 extra giveaway entry for following Purex on Facebook. 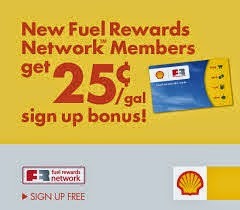 - You can get 1 extra giveaway entry for following Purex on Twitter. 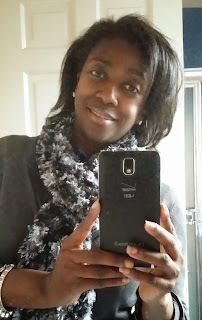 - You can get 1 extra giveaway entry for tweeting the following message on Twitter " I entered to WIN 2 FREE bottles of @Purex PowerShot Detergent on @freeismylife http://ow.ly/HUEzN "
Random.org has spoken! Out of 294 entries, Random.org has picked #129. 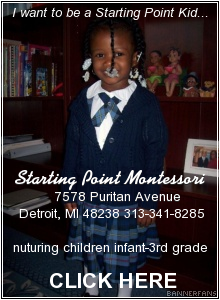 Congratulations to the winner of the coupons for 2 FREE bottles of Purex PowerShot Detergent - Carol C. of Bloomfield, MI!! !